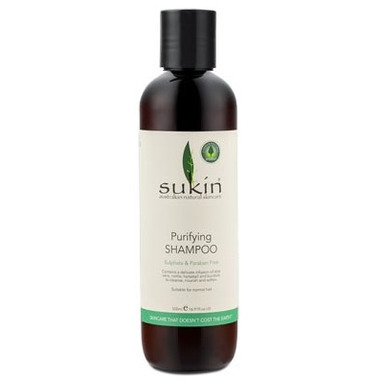 Sukin Purifying Shampoo is a gentle daily shampoo to cleanse, nourish and soften any type of hair especially sensitive scalps. Contains a delicate infusion of aloe vera, nettle, horsetail and burdock. Perfect for sensitive scalps. Application: Wet hair and massage into scalp, working up a gentle lather. Rinse well. For best results, condition hair with Sukin Nourishing Conditioner. Suitable for everyday use and normal hair. Nice light natural scent. Gentle and good for oily scalp or colour treated hair.